On July 1, 2011, I was appointed pastor of St. Aloysius and Our Lady of Lourdes and have since been blessed to be part of a family united in Catholic faith, empowered by the Holy Spirit, and committed to one another in love and service. For almost six years now, I have witnessed firsthand the great works of the good people of our parishes, who have been able to accomplish much. Through the hard work of so many people, our approximately 60 ministries in the Archdiocese serve the needs of our parishioners and people throughout Western Washington. We are truly blessed! Through the extraordinary generosity of our parishioners and sound financial management, we have increased our Annual Catholic Appeal and Rebates each year. 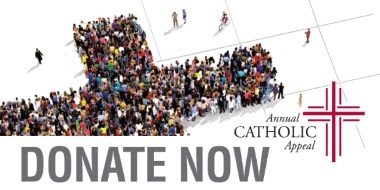 Your generosity to the Annual Catholic Appeal enabled us to use the yearly rebates to provide so many updates. 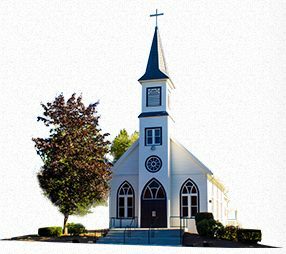 Our Churches are our spiritual homes and, like many of your own homes, are in need of ongoing repairs. Last year's rebates and this year’s projected rebates are marked for the kitchen in our parish hall...a great step in remodeling that is much needed. The outside of the hall will also need painting. We are truly blessed at both parishes and I am asking all of us as a family united in our Catholic faith, empowered by the Holy Spirit, and committed to one another to take part in the Annual Catholic Appeal 2017. Our parish’s share of this campaign is $23,219.00 at St. Aloysius and $6,261.00 at Our Lady of Lourdes, and once we have achieved our goal, any payments received that exceed it will be returned to us to help fund our parish project of renovating our parish hall kitchen! Please consider making a sacrificial pledge to the 2017 Appeal. I am counting on YOU to help our parishes again surpass the goals. With your prayers and financial help, together we can make our spiritual home safe and beautiful. Please accept my personal thanks for all you do to make St. Aloysius the great parish it is, and as long as we can to provide for our mission. All for One and One for All in Jesus Christ. PS: To participate, please complete the pledge card with St. Aloysius Parish Number 52 or Our Lady of Lourdes 53. The best procedure is to mail it directly to the Archdiocese with the postpaid envelope enclosed or you may place in the collection basket. The Annual Catholic Appeal is about being Catholic and recognizing there are priests and deacons to be trained, social services for the needy and poor to be offered, Catholic schools to sustain and grow, retired priests and nuns to support and so much more! 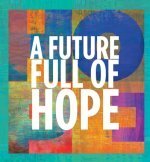 The Annual Appeal allows you to join thousands of Catholics to support more than 60 ministries and services throughout Western Washington. Your support is essential to our mission - without YOU, there would be no Church. Thanks to your generosity, our church is here in times of need providing comfort and hope. How Does The Annual Catholic Appeal Differ From My Parish Stewardship Giving? What Ministries Does My Gift Support? There are 175 parishes and missions in the Archdiocese, serving 579,500 Catholics. When you give a gift to the Annual Catholic Appeal, your money goes to support over 60 ministries and services. Parishes are direct recipients of the ministries and services supported by the Annual Catholic Appeal. In addition, any money received and exceeding the parish assigned goal is returned through a rebate to your parish to use for a stated project or as needed. How Much Should I Give To The Annual Catholic Appeal? Please consider donating 1% of your income to support the Church in Western Washington through the Annual Catholic Appeal. The average gift to the 2016 Annual Catholic Appeal was $368. If you are able to participate this year, would you consider a gift of $1 a day or an annual gift of $365 or more? Gifts of any amount are welcome and your gift will make a difference in the lives of thousands of your neighbors - Catholic and non-Catholic alike. If you are not doing so already, would you please consider a gift of $1 a day or $365 or more, to make up for those who cannot give in 2017? How Is My Dollar Allocated?